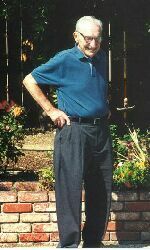 The eldest brother of the Houfek Family was Paul Houfek, seen here in San Jose, CA in September of 1999. 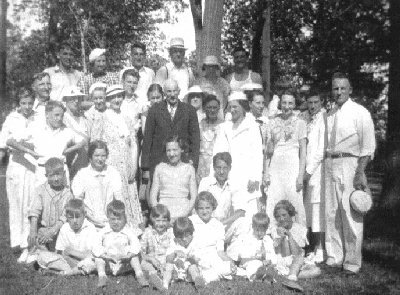 Two Reunions: The Rattenne-Houfek Reunion and the Lonsdorf-Houfek Picnic at Erb Park, Appleton, Wisconsin in 1935. The Houfeks hail from "the Old Country," from what is now Czechoslovakia. The clan that is represented here settled in Wisconsin in the 1800s. They are a diverse family, with many accomplishments to their collective name, including published authors, artists (both performing and graphic) and - well, see for yourself. Learn about this fascinating and talented family by clicking on the various links in the menu to the left. The Houfek Family Pages are maintained by Ken Rattenne and are part of Ken Rattenne's Family Of Pages. 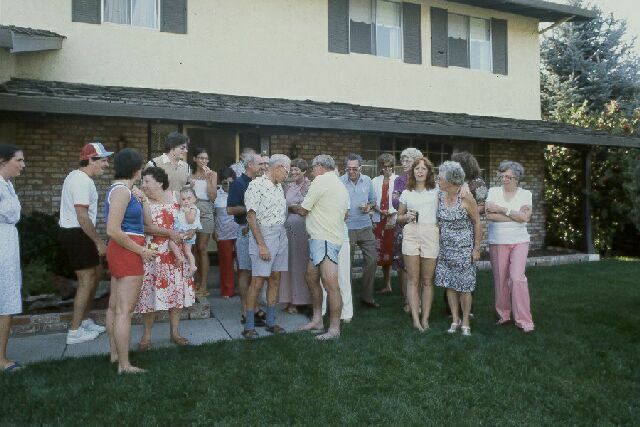 Do you have Houfek Family information or photos you would like ot share with the rest of us? Do you have your own personal or business web site? We'll link you to our page here if you email us your url. Contact Ken Rattenne at kenrattenne@gmail.com.